ELA.W.1.5: With guidance and support from adults, focus on a topic, respond to questions and suggestions from peers, and add details to strengthen writing as needed. ELA.L.1.1: Demonstrate command of the conventions of standard English grammar and usage when writing or speaking. ELA.L.1.2: Demonstrate command of the conventions of standard English capitalization, punctuation, and spelling when writing. 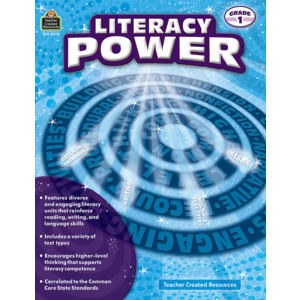 ELA.L.1.4: Determine or clarify the meaning of unknown and multiple-meaning words and phrases based on grade 1 reading and content, choosing flexibly from an array of strategies. ELA.L.1.5: With guidance and support from adults, demonstrate understanding of word relationships and nuances in word meanings. ELA.L.1.6: Use words and phrases acquired through conversations, reading and being read to, and responding to texts, including using frequently occurring conjunctions to signal simple relationships (e.g., because).